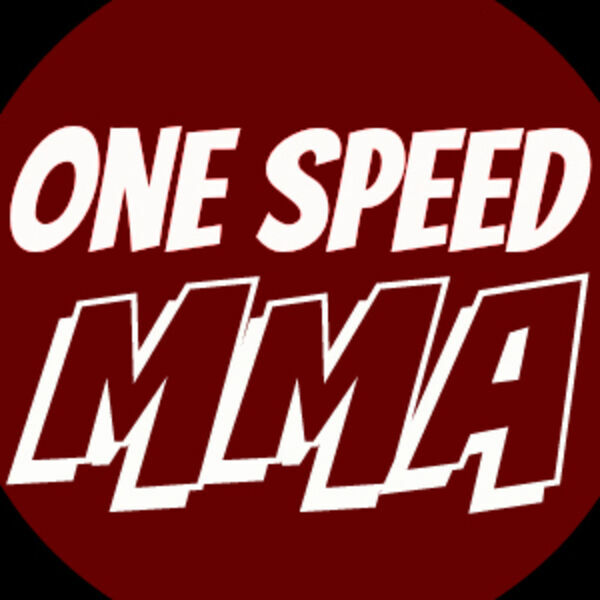 The One Speed MMA Podcast takes a look at the latest news, information and rumors around the world of MMA. Make sure to subscribe and follow @onespeedmma on Twitter and Instagram. We invite on a Criminal Defense/Immigration Attorney to talk all things Conor McGregor and how it may affect his career in the short and long term. We had a ton of high lever fights announced over the last week or so and we dive into the top announcements before getting into Tony v Khabib next week. The UFC London undercard was a blast. We talk about the card and all things Mayweather in MMA. Karsona nd Justin are back! We discuss the (hypothetical) 165lb title fight between GSP and Conor as well as all things UFC 222. Don't miss it. It's that time of year again! We talk Cyborg v Holm, what's next for Khabib and our 2018 MMA predictions! Karson and Justin talk Holloway vs Aldo to Lawler v RDA and everything in between. Savate, Kickboxing and the Bellator Heavyweight Gran Prix. Let's see how many things we can get wrong in one episode of the One Speed MMA podcast. There is a lot of talk about UFC 217 being the best main card of all time. We take the time to discuss it as well as UFC Norfolk. Karson and Justin ignore Halloween to talk MMA and you are welcome. Get ready for the hardest episode to follow yet this year! We talk Cerrone v Till. Lil Nog and the upcoming Brazil card. Karson and Justin are back! We talk all things Cerrone v TIll and salivate over the December card lineup. Don't miss Karson get triggered and much more! Yoadd and Travis join the podcast and this is the episode you do not want to miss! We talk Jon Jone nuthugging, steroids and the potential end of USADA. We didn't stop podcasting, somtimes lfe just gets in the way! We talk Mike Perry, Luke Rockhold, Cyborg v Rousey and much, much more. Justin and Karson discuss Jon Jones and his management as well as Mayweather v McGregor. You don't want to miss this episode! Jones is champion again, but the Crying Cormier meme reigns supreme! UFC214 proved to be fruitful, but will it lead to Jones v Lesnar or another LHW matchup, we discuss. Karson and Justin weigh-in on Dana White's Contender Series, the MayMacTour and all things MMA on this edition of the One Speed MMA Podcast. Yoel may have lost but we still love him and Gay Jesus. We talk the Contender Series and UFC Glasgow as well as the UFC's loss of Gegard Mousasi. On man was able to bring all of Team Alpha Male to their knees. Karson tells his tale in this episode.